Victor Martinez took exception to Grant Balfour blurbing something under his breath. 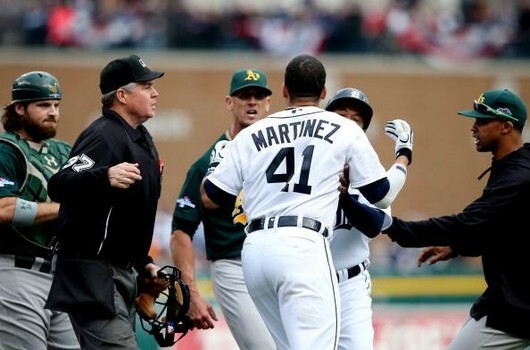 Martinez has been around long enough to know that this is part of the Aussie’s act, however, when you hear the verbal exchange, you get a sense that something set off V-Mart. 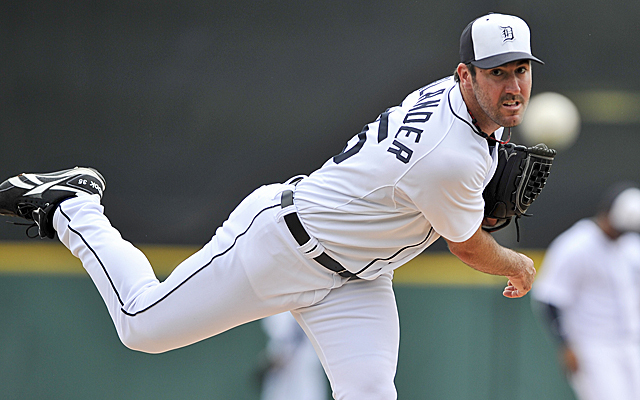 The Tigers ended up losing the game 6 – 3, and now face elimination in Game #4 at Comerica Park tonight, with Doug Fister towing the hill against Dan Straily. The Tigers are favored at -151. The first postseason game in Detroit didn’t go as expected. It wasn’t even due to the 1:00 PM start time either. 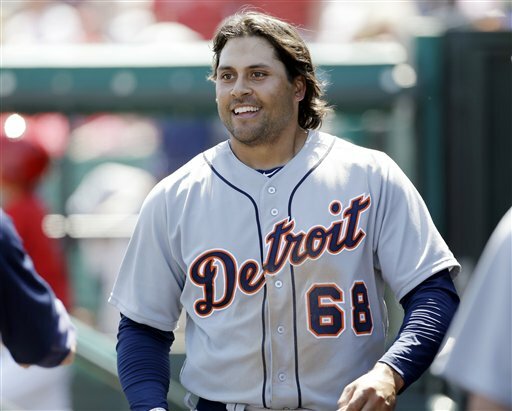 Tigers Anibal Sanchez went only 4 1/3 innings and gave up home runs to Josh Reddick, Brandon Moss, and Seth Smith. Yes, that’s 3 home runs. Though the Athletics jumped to a 3-0 lead early, the Tigers were able to claw back with 3 of their own in the bottom of the 4th. 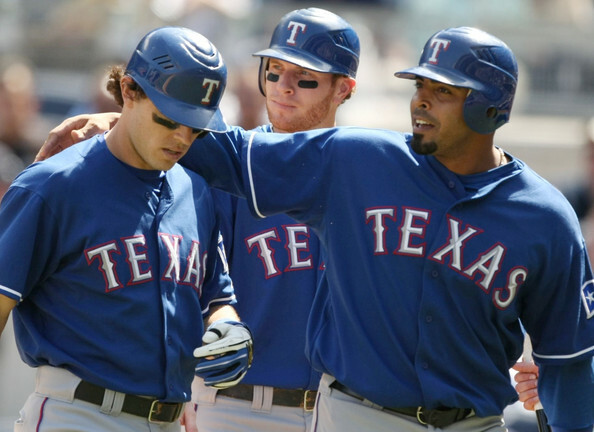 Nelson Cruz is picking up slack for the vacated Josh Hamilton and Mike Napoli. 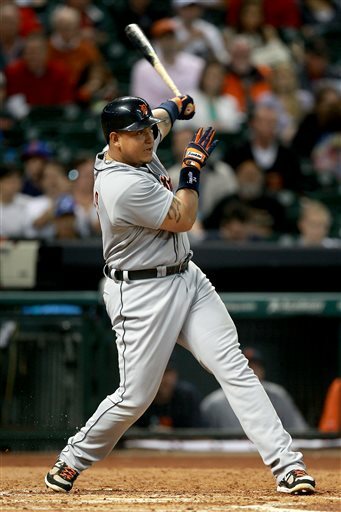 He has hit 11 HRs (T-1st in AL) and 33 RBI for 2013 – with a .268/.317/.865 Slash Line. The guy always seems to hit in the clutch. He is as a Free Agent in 2014 – and should see a hefty pay increase.on the $10.5 MIL salary he draws this year. Cruz has a 3 Slash- Line of .278/.336/1.018 in 126 Post Season AB. Cruz has hit 14 HRs and driven in 27 RB in the Playoffs. 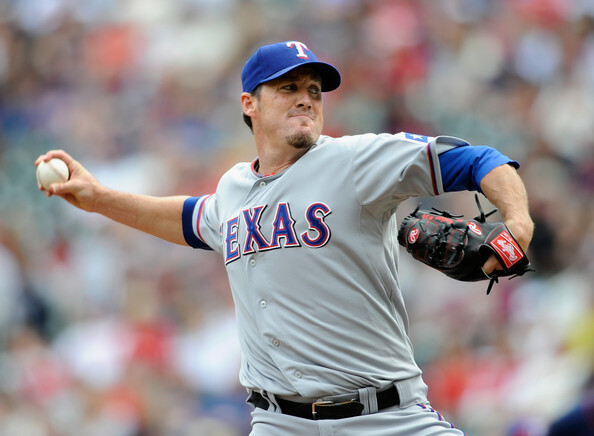 The Rangers are sitting in 1st place by 7 Games over the 2nd Place Seattle Mariners right now. They continue a weekend showdown with the Tigers tonight. Matt Tuiasosopo has struggled mightily during his 193 Career AB in the Major Leagues – (All with the Mariners), hitting for a 3 Slash Line of .176/.234/.540. 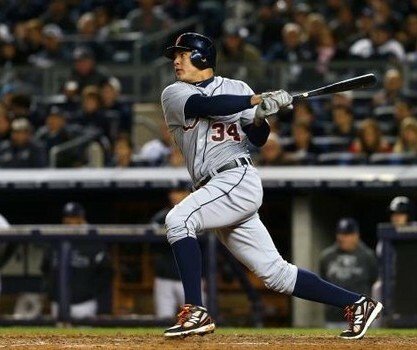 His Spring Training is garnering him a second look from the Detroit Tigers, but will his unimpressive Minor League numbers prove to have him as part of the Training Camp casualties before the team heads up north from Lakeland? The big man from Washington was invited to Florida as a Non – Roster Invitee. LAKELAND — As Spring Training nears its end here in Lakeland, the 25 – Man Roster seems far from written in stone. The Tigers have been vocal about carrying a Right – Handed Hitting Outfielder into opening day. In fact, Jim Leyland was even quoted as being 99.9 percent sure that would happen. So your choices seem to be down to Jeff Kobernus, Nick Castellanos, Avisail Garcia, and Matt Tuiasosopo. Castellanos leads nearly every hitting statistic among Tigers but will likely begin the season in Toledo with the Mud Hens. 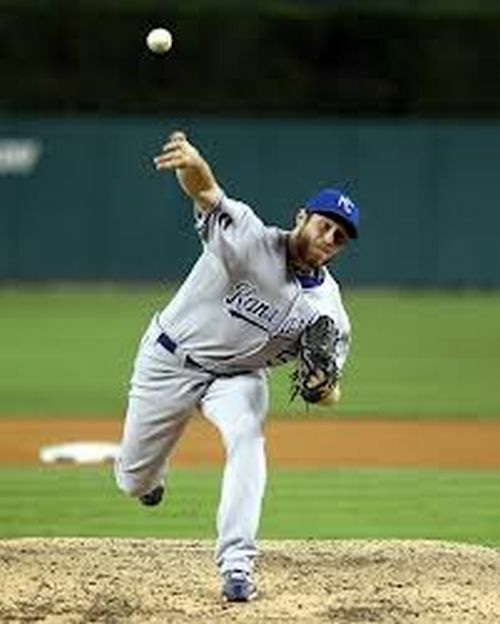 His development is vital and the Tigers do not want to see him in the Majors getting little playing time off the bench.